In doing so, we aim to recognise more prominently the efforts of our volunteers, and to provide public thanks to them. A short round up of our Mentoring activities. Strengthening the capacity of trustees to deliver improved governance across the third sector. We want your input and ideas on how WCOMC can continue to work with OCS and the Charity Commission on the design and management of a major programme of action to strengthen charity governance. This is a great opportunity to enhance the impact of our Pro-Bono work and Charitable Fund at a national level. Please come along and help to move this major initiative forward. As you are probably aware the Pro-Bono Committee’s strategic focus is on building capacity to deliver improved social outcomes across the third sector. We work with several organisations where our input can be leveraged for greater benefit. One recent example of this has been supporting the CASS Centre for Charity Effectiveness in carrying out a large-scale national survey of charity Trustees. This research was carried out in close collaboration with the Charity Commission, part funded by the Office of Civil Society (OCS) and partly by the Company’s Charitable Fund. From the Pro Bono Committee’s perspective steps to improve Charity Governance, building on the CassCCE survey, represents an ideal way to support the whole sector. B) Get ideas on proposed actions to address the issues arising, especially where WCOMC might be involved. You are therefore invited to attend the latest in our occasional series of pro bono evenings, to hear about and debate the results of the survey and discuss the implications and actions to take. The evening will be hosted by Bob Harris, and our intention is that Prof Stephen Lee from Cass, who led the research, will be present. These details are subject to room avaialbility at Cass so please save the date and we'll confirm details as soon as we can. As usual there will be drinks available to welcome you and a buffet and networking at the close. Please bring £25 cash to cover the costs incurred and email Steve Cant (steve.cant@wcomc.org), by 31st August, to confirm that you are coming and to ensure sufficient food and drink is provided. This should be an interesting and stimulating evening, and we look forward to seeing you there. 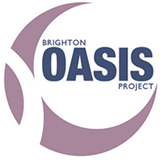 Brighton Oasis Project (BOP) is a substance misuse service for women and families in the heart of Brighton. The Charity exists to support and empower women who have difficulties with drink or drugs to make positive changes in their lives. Oasis has experience of providing support to women in Brighton and Hove for over 20 years. Oasis benefited from support from the Company some 10 years ago, and is now seeking assistance with the development of a new strategic plan. I envisage the specific consultancy skills required would include strategic planning, workshop planning and facilitation, broad communications planning. There are people out there just right for this role, so please do contact me if you think you can help and I’ll take it from there. The Fore is the only open-access funder in the UK offering development funding and strategic support to early-stage charities and social enterprises. The Fore is a partner of the Big Lottery Fund, and it has money to give away to charities that meet their funding criteria. The Fore also match successful applicants with friendly professional support – ongoing mentoring, strategic advice, governance support or other assistance. It also gives feedback to unsuccessful candidates, and offers access to regular, high quality training and networking events. The Fore was featured in an article in the Company Newsletter a few months ago, so we will not repeat lots of detail here. (See also www.thefore.org) However, what that article did not make clear was that we were already working with the Fore. I myself have been actively engaged in the Fore’s first funding round so here’s my account of what was involved. Resilience – that is, standing up to the grants panel in a “Dragons’ Den” setting. After a solid training session at which the process and the evaluation criteria were fully explained, I was let loose on a (virtual) pile of applications, each only 3 pages long. The task was to sort these applications quickly, efficiently and dispassionately into “No”s and “Possibles”. Reasons for saying no have to be captured (using an on line CRM system) and this information is fed back to the unsuccessful applicants. So even saying no can add some value to the organisations concerned. Phase two involved doing more thorough “due diligence” on the “Possibles”, looking at annual reports and accounts, inspecting websites, and then contacting the applicant charities directly to test the case being made. Again some applicants fail at this stage, and again feedback is provided to help the charities with future applications. By this time I was down to a short list of 4 applications and I’d met or spoken to all them – it was impossible not to get emotionally engaged with the charities concerned and I became committed to doing my level best to try to secure grant funding for “my” four charities. At a peer review sessions (there were three other assessors) one of my cases was challenged fairly and I had to accept that their case was simply not transformational – and the potential for transformation is the key assessment. So I ended up taking 3 cases to the Funding panel. To do that I had to craft very tight one-page documents showing what the charity was all about, make the case for their application and summarising the targets and goals – what effect the grant funding would have. On the day of the funding panel I was a bit nervous but was certainly right on top of the details of my three applications. The Panel comprises 6 or more representatives of the Fore and they subjected each application to a tough inspection. I did not have to present, per se, but did have to answer questions and respond to challenges. And respond I did, in some style. Everyone enjoyed the process and not all applications were successful – but all mine WERE! Hooray! I went home very happy with my dragons den experience. The next day came the most enjoyable part of the whole experience, calling the charities – people I’d got to know by now – to tell them the good news. Now that was a fun morning. At the end of the day I learnt a little about many charities- which will certainly help me in my role with the pro bono committee, and it was very gratifying to know that you were helping with constructive, objective feedback - even if the charity was not successful. I have signed up to do another funding round (another 50 applications to whittle down to 3 or 4) and two other Members of our Company have also volunteered to act as Assessors. The Fore is keen to assemble a small panel of WCoMC volunteers so that they can cover three full funding rounds per year. If you are interested in this opportunity to help a lot of charities and to experience the highs (and maybe lows) of a dragons’ den experience, then let me know (steve.cant@wcomc.org). But be aware - this was not a trivial undertaking and it took at least 12 days over 10 weeks, and if you start you have to finish. If there is interest then we will then hold a “recruitment and briefing event” probably one evening at the Fore’s office at 2 Temple Place (near Temple Station on the District & Circle Lines). As a Livery Company we have been building up a relationship with the Rainmaker Foundation, which supports a number of small charities in London. One of these is the Girls’ Network which was set up in 2013 to provide a mentoring service for teenage girls who need help in realising their full potential in the face of social and other challenges. Liveryman Kanan Barot has worked on a Pro Bono assignment for the Girls’ Network, but this case study does not feature her work (maybe another time). Instead what follows is an account from Emily Hoble, daughter of Liveryman Mark Hoble, who has become a mentor for the Girls’ Network. When Dad mentioned the work that he was doing with the Girls’ Network, I was instantly interested. Having explored the organisation's website, it became clear that they had a big vision to improve the futures of girls across the UK. The charity plans to be in every region of the UK by 2020, which means that they have the chance to impact a lot of lives. I wanted to be a part of that. Signing up couldn't have been easier. I answered several questions online about my experience and current role, and soon received a confirmation email with the opportunity to sign up to mentor training. The training took place on a cold winter's evening in a run-down, cramped room at the Girls’ Network offices, however the energy and enthusiasm from the other women in the room reminded me why we were there. The training consisted of several group exercises in which we planned mentoring sessions, discussed possible scenarios and were briefed on safeguarding issues. Aside from the invaluable tips and direction that I learned at the training, I met some inspiring women. A group of us like to keep in touch on how our mentoring is going, and I am also attending a networking event for mentors soon. Being able to reflect on my own experience, as well as learn from others, is a great opportunity. It wasn't long until I was at the matching event, with 9 other mentors and 10 potential mentees. Nat, the Network Manager for London, explained that she already had a rough idea of who we might be matched with, but that dynamics during the speed-dating style exercise meant that these could shift. The event was intense and lively, with the girls seeming both amazed and relieved to hear that I am working for the Mayor of London's marketing organisation, but I was hopeless at maths and French at school too. At the end of the event, Nat announced that I had been matched with Emmanuella - a bright and engaging girl who had proudly told me that she wants to be a Businesswoman. Emmanuella and I have exchanged text messages since, and will be meeting in a Starbucks near her school in a few days’ time to get to know each other better. I am extremely excited about working with Emmanuella over the coming year to unlock her full potential and help her to make the most of the exciting choices ahead. Over the past year or more we have run a series of Mentor training sessions aimed at equipping our members with the skills to become mentors to Chief Executives and senior managers in Charities. These sessions were successful and well attended, but we’re starting to see diminishing returns so for the time being there will be no further training sessions. If you are interested in such training please contact Liveryman David Glassman and he’ll put you on the list. Recently the Stephen Lawrence Charitable Trust has approached us looking for support in training their own mentors. More on this in our next Get to Know Pro Bono newsletter.